I live watching the fountain and it is the first thing I go to see. 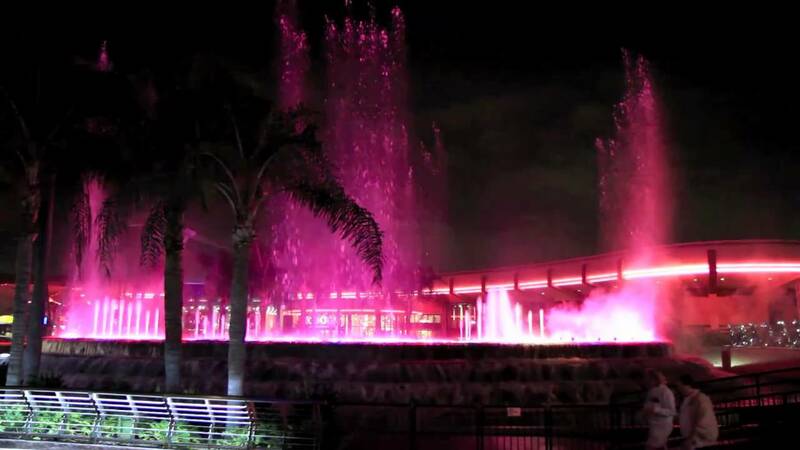 I wish they would restore the show fountains back to their original glory. Since it is the type of attraction it is I dont see any need to change a thing just restore the hardware. My favorite thing about the fountain is that they use mostly instrumental music. I still give it a 10 because it is a great thing to watch. This is a very interesting show that not many other companies do. The fountain shoots water in different patterns and designs while synchronized to music. It's a fun thing to watch at almost anytime. The lights are are great too. It is worth seeing at least once. My favorite theme played during the fountain show is the exciting Rescuers Down Under theme. My favorite place to sit back an watch the fountain is outside the Electric Umbrella on an uncrowded weekday, sitting eating my burger and fries. You never want to set something up like this as being such a big deal, because it really isn't. It's just one of those nice things Disney does that if you have the time, it's nice to stop and take it in. The Fountain of Nations is a large-scale dancing water fountain located int he center of Future World at Epcot. The fountain performs every 15 minutes.